Looking For An Exciting Location For Your Company Outing? Why not rent TD Bank Ballpark? It's a great way to bring employees and families together for a day of family fun! 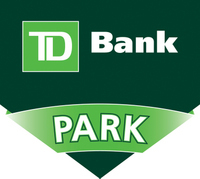 TD Bank Ballpark is a full service facility with everything you need and more. The Patriots will do all the set up and clean up to make sure everyone can just enjoy the day. All you have to do is select a date, reserve it with your Somerset Patriots Representative, and let the Patriots make it an event your guests will remember for years to come. From corporate events to special birthday parties, let the Patriots host an event for you at TD Bank Ballpark. Also for an additional charge, the Patriots can fill the ballpark with games for the kids including speed pitch, a moon bounce, a miniature golf course, boardwalk style games, and much more. Centerplate, the ballpark concession company, will do all the cooking for your event. You can have anything from hamburgers and hotdogs to a full scale BBQ with soda, beer and wine. To discuss the opportunities, contact a Somerset Patriots representative today at (908) 252-0700!